Stir together all ingredients in a large bowl (a few remaining lumps are OK). Heat a large skillet or griddle over medium heat. 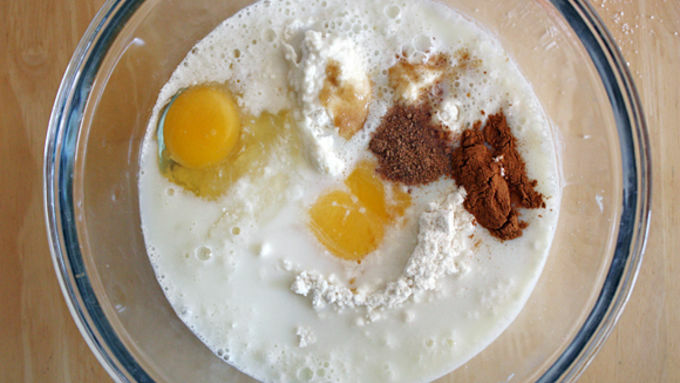 Add 1/2 tablespoon butter to coat bottom of skillet. Ladle slightly less than 1/4-cupfuls of batter onto skillet. Cook until edges are dry and bubbles form on top. Flip and cook other side until golden brown. Add more butter to skillet as needed to keep it coated. 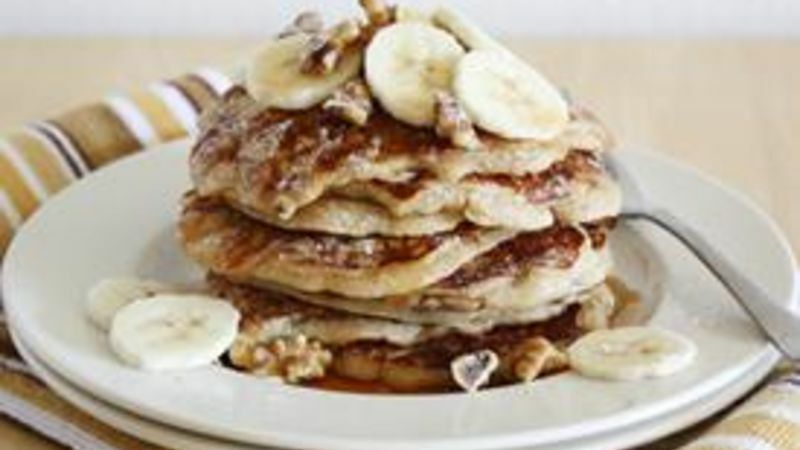 Top pancakes with chopped walnuts, banana slices, maple syrup and/or powdered sugar, if desired. Serve immediately. 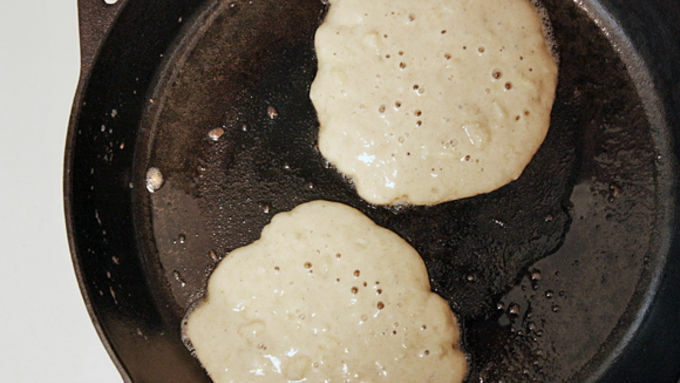 What could be better than pancakes on a slow, sunny weekend morning? 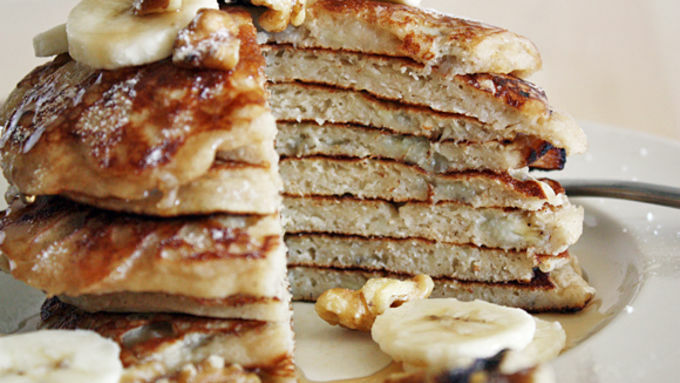 Banana bread pancakes, that’s what! OK, and maybe a cup of coffee, too. I don’t know why the mash-up of these two magical foods didn’t occur to me sooner. I mean, it’s like the Laurel and Hardy of breakfast. The Bert and Ernie. The Thelma and Louise. The Beavis and – nevermind. Let’s just say these two were meant to be together. 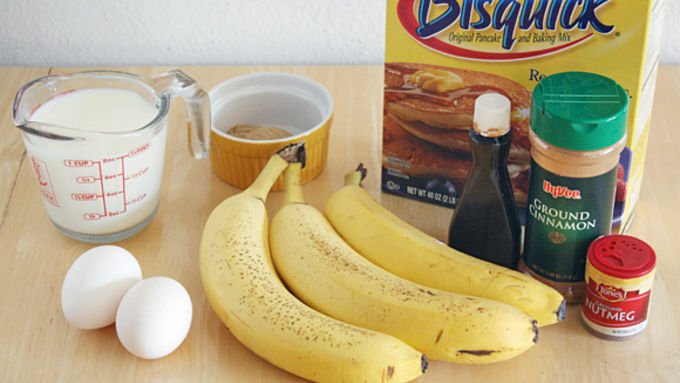 Now kick off your shoes, turn on Jack Johnson’s “Banana Pancakes” song and let’s make pancakes!